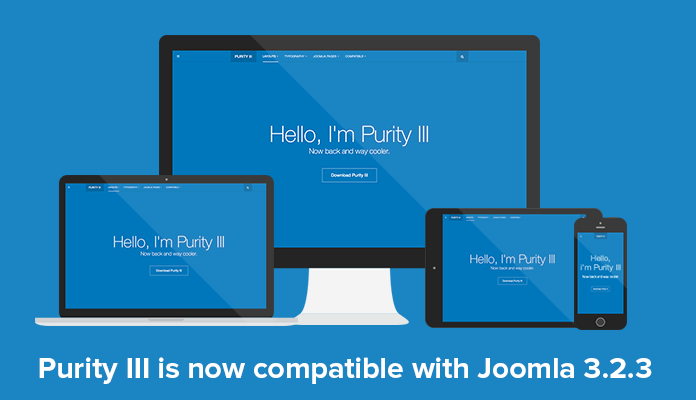 The coolest Free Responsive Joomla Template – Purity III version 1.0.1 has just been upgraded to the latest version of Joomla 3.2.3 along with its routine bug fixes. 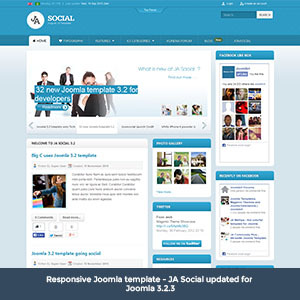 This particular Joomla template is a perfect starting point for any of your Joomla projects. 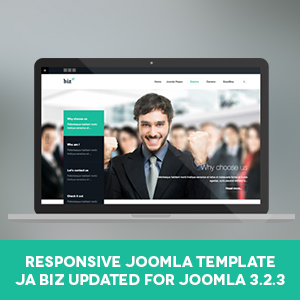 Our Responsive Joomla template for business – JA Biz version 1.0.1 has just been upgraded to the latest version of Joomla 3.2.3 and Joomla 2.5.19 with some bug fixes. 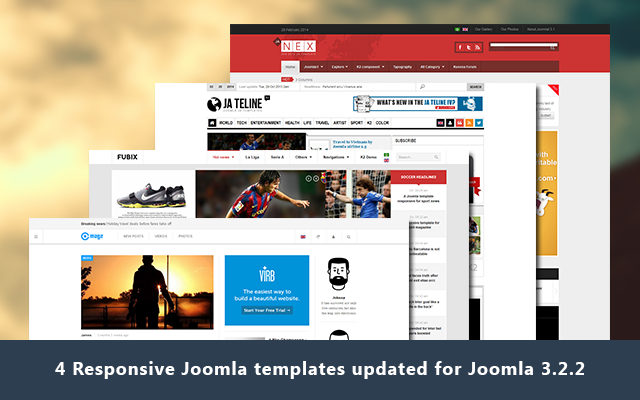 Coming with multiple layouts and various typography pages, JA Biz will guarantee you a professional Joomla template for your business to shine. 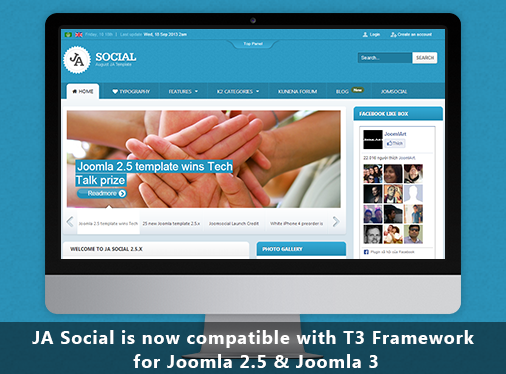 The responsive Joomla template for Social - JA Social T3 has just been upgraded to the latest version of Joomla 3.2.3 and Joomla 2.5.19 with numerous bug fixes. More details can be read at the changelogs below and please ALWAYS back up your site before proceeding with the update process. 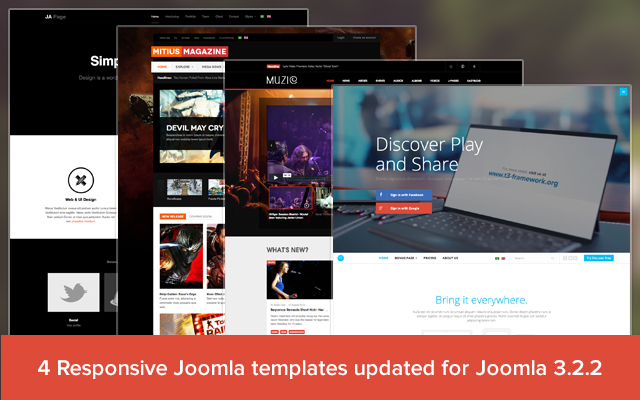 4 Responsive Joomla templates have just been released today for our second batch of Joomla 3.2.2 and Joomla 2.5.18 upgrade with a number of bug fixes. In case you missed, here is the first batch. 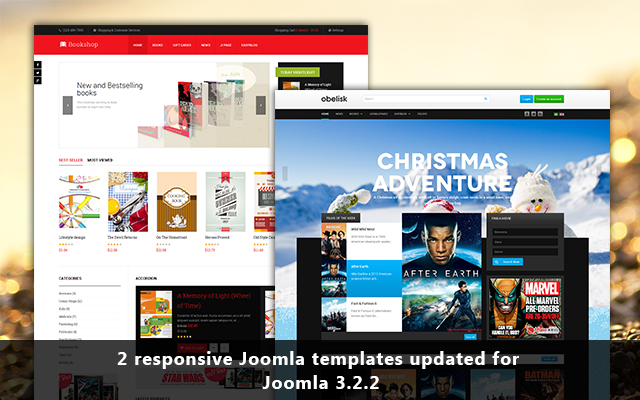 2 Responsive Joomla templates have just been upgraded to the latest version of Joomla: Joomla 3.2.2 and Joomla 2.5.18 for the first batch of Joomla templates along with numerous bug fixes. More details can be read at the changelogs below and please ALWAYS back up your site before proceeding to the update process. 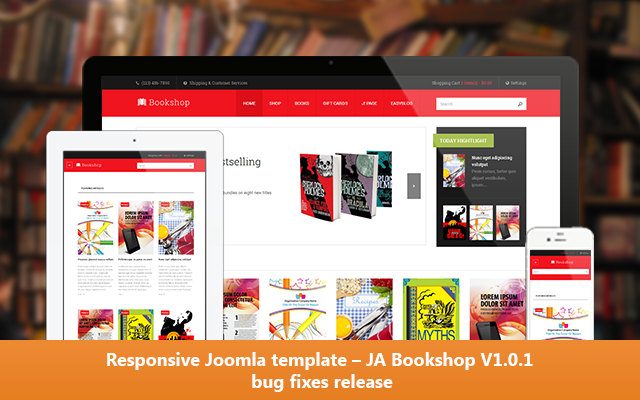 Our Responsive Joomla template for eCommerce – JA Bookshop version 1.0.1 for Joomla 2.5 and Joomla 3 has just been released with some bug fixes. 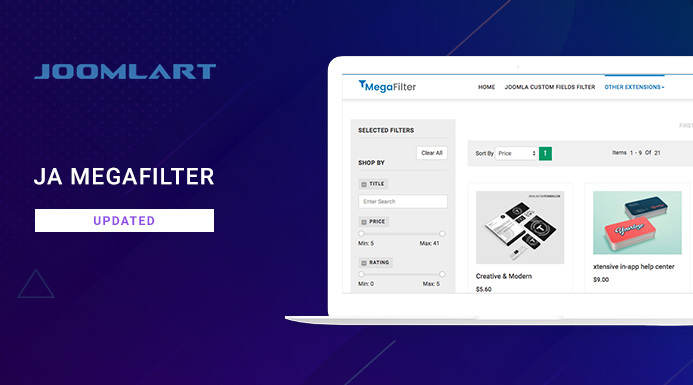 Coming with flat design and the powerful Mijoshop shopping cart component, this Joomla ecommerce template will definitely boost up your e-stores in the most striking way. 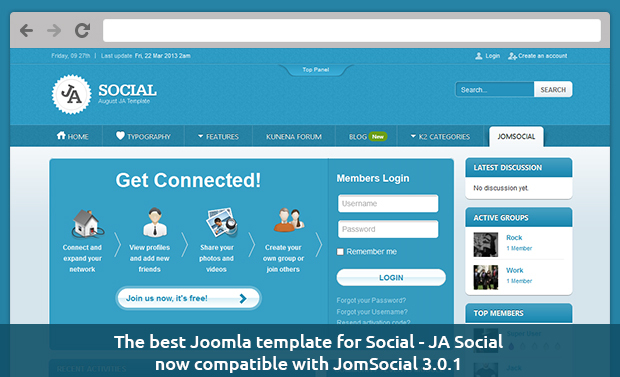 The Joomla template - JA Social for both Joomla 2.5 just came out with version 2.5.8 and is compatible with the latest version of Jomsocial 3.0.1. 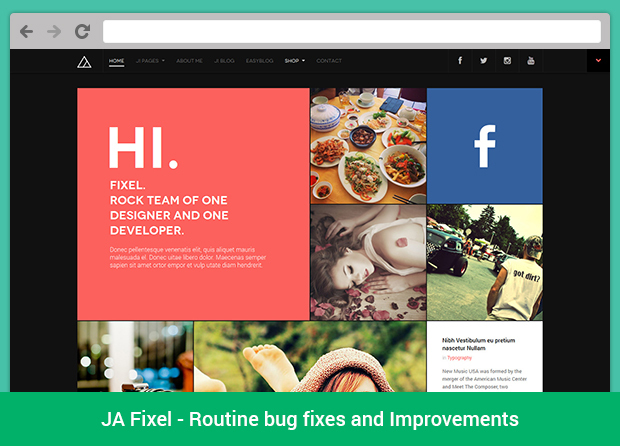 JA Social has always been one of the best Joomla social template out there, and is known for its beautiful web typeface, JA Social is simply irresistible. 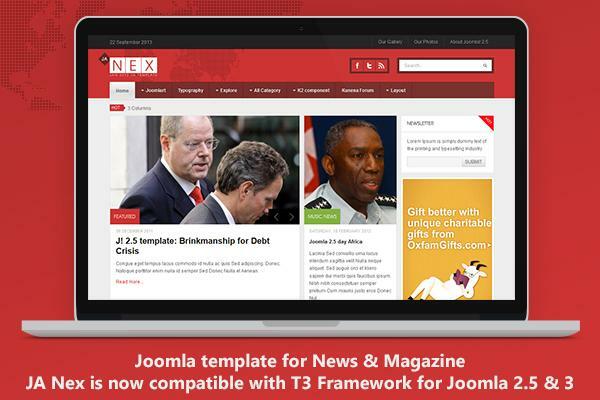 Yes, JA Nex is now the Responsive Joomla template for Joomla 2.5 & Joomla 3, as it's finally compatible with T3 framework. 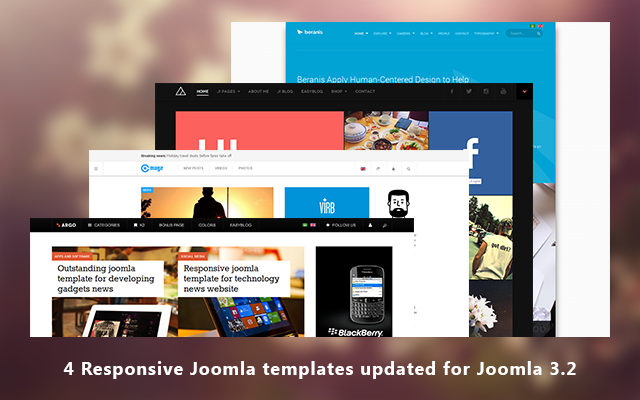 This is our first Joomla template in this T3 Framework upgrading project, which has been highly requested from you guys.